Make your NuCanoe as easy to get around on land as it is on water. 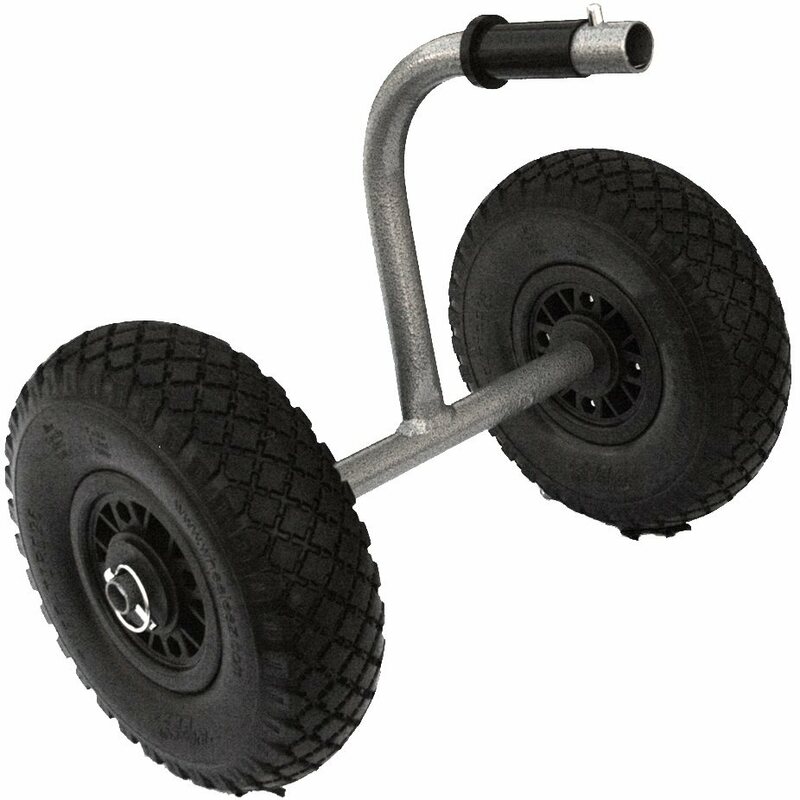 Not only will this cart help you get to and from the water, it’ll make loading you NuCanoe onto a roof rack, truck bed, or trailer a breeze – even when on your own! And if you get stuck at a sand bar on your adventure, just put the cart back on for an easy portage. The Transport Cart attaches in seconds via the Transom Hole and locks in place with the snap button. No more fussing around loading the boat on a cart and securing straps!